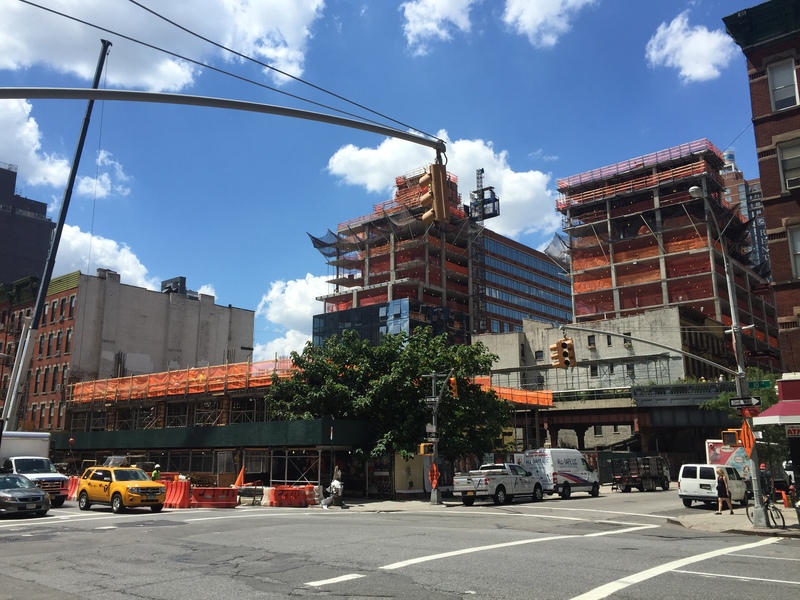 The superstructure and curtain wall are going up on this AKM-designed development. The project spans the High Line linear park, with new construction on both the east and west sides. Three towers will include 347 units, and are connected by a lobby that passes under the elevated park. Construction is planned to be complete in 2016.